There is something that happens when one crosses south of the Mason-Dixon Line; something full of time and mystery. When you get out of the Yankee states and are finally able to fill your lungs with good, wholesome Southern air…it is like stepping back in time, to a place that consumes your imagination. But, if you are like me and seemingly stuck up North with no means yet to escape, then Lenore Hart’s newest book The Raven’s Bride is the next best thing. I often start out my book reviews assuring the reader that I am very picky about the books that I read. Too often, I’ve turned to the first line and not been able to be pulled in within the first few pages, let alone the first few paragraphs. However, Ms. Hart’s first haunting lines were as if the book suddenly drew back and took a deep breath, coming fully alive. I was captivated from the beginning. So much, in fact, that I would have gladly read this book in one sitting, if it had not been for my mommy duties that yelled, shouted, pooped, and begged for food (lovely, right?). As it was, I had to read it in two sittings. 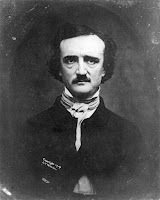 Since fifth grade, I have been completely spellbound by Edgar Allan Poe. So, you can imagine my surprise when I picked up The Raven’s Bride at the library (yes, the library…but I will be buying my own copy now). I didn’t even have time to read the synopsis of the book because my two year-old son was busy typing on every keyboard he came across. Shamefully, I grabbed the book up because of the striking cover. But who hasn’t done that once or twice? At home, I was thrilled t o fully understand that this book was a first-person narrative told from the POV of Virginia Clemm, or Sissy Clemm Poe, the childhood bride of her first cousin, Edgar Allan Poe. I was sold. It didn’t hurt that the opening chapter unfurled with a haunting—reading with the same, eerie, spooky feel that so many of Poe’s very own works breathe with. Ms. Hart takes her readers to another time—another place—and paints a picture so vivid and clear that I could, at times, smell the brandy on Poe’s breath; feel the rough bombazine against my skin; imagine the taste of salt and iron blood that Sissy tastes when she falls prey to consumption; and understand—no, feel—the same heart-wrenching pain and sorrow her beloved Poe must have felt as he suffers one victory, and yet, another defeat as he manically pursues his love and his dreams. It did not take much scope for the imagination to feel as if I had suddenly been dropped into the shoes of Mr. Poe’s beloved little wife. Sissy Clemm loved ‘Eddy’, as she lovingly called him, nearly from the first moment she met him as an eight year-old girl. Eddy became her make-believe husband, and at the tender age of thirteen (young, even for those days) her real life husband. But the fairy tale she had imagined did not come true. At least not quite how she imagined. Eddy was driven to write—to create a well-known name for himself. But, as most writers know, this does not come easy. Eddy suffers one decline after another, only intermittent once and a while by a success. All the while, he must battle his inner-most demon: his desire to succumb to temptation and drain the city of every drop of alcohol he can find. Sissy is Eddy's anchor—the one good thing that keeps him from completely slipping away. Because of this, she quickly matures from a naive child, to a strong, and capable woman. Though she endures extreme poverty, his husband’s unpredictable moods, and her frustration to make something of herself, as well, Sissy is the very picture of a man blessed by a good and supportive wife. She is an inspiration, of sorts. I felt no pity for her. Only admiration. 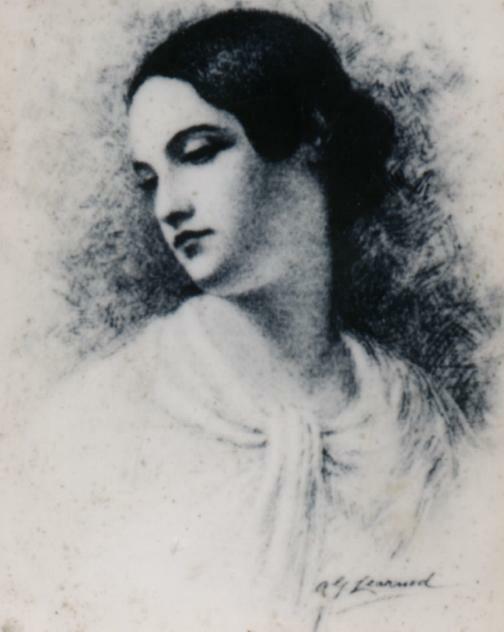 I imagine it is only because of her that Edgar Poe turned out so many great works. What would the literary world look like now if Virginia had not been by his side? As silly as it might sound, I feel lucky that I haphazardly snatched the first pretty book off the library shelf, all in an effort to shuttle my rambunctious kids out of the building before being tossed out. Having finished this book this afternoon, I do not feel but a twinge of guilt that the words of Ms. Hart caused me to be so completely entranced that I forgot all about my son’s doctor’s appointment. Instead, I feel as if I have just sat down with a wonderful, strong, powerful, charming woman and heard her story personally. If I close my eyes and am very still, I can imagine that Mrs. Poe is still sitting beside me, watching me, taking pleasure in how her story has left me breathless. To me, that is the mark of a great author—the ability to transport readers…or, in my case, bring the characters into the readers own home. Because, one day, that’s what I hope I will be able to do with my own words....to haunt a reader with a story. This was a great review to read. I could feel how much you appreciated and enjoyed this book. Well, I've noticed that a couple of other reviewers on Amazon and Goodreads have mentioned this, and it's been pointed out on several other blogs and Twitter, but as for why it hasn't gone fully "public" like the Cassie Edwards fiasco...I honestly don't know, as I believe that what Hart did was much worse. I forgot to mention--one possible reason why the similarities aren't well known is simply the obscurity of these two books. 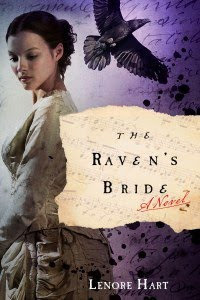 "Raven's Bride" is no best-seller, and who's ever heard of Cothburn O'Neal, except Poe obsessives like myself?